Recently I have been researching how organizations can forget their past and how this then impacts on their identities and their strategies. Of course, not everything an organization does will be remembered – it is necessary to forget. Also, sometimes the past is deliberately ignored in an attempt to define the future. But, rather than ignoring what has been, there is a real opportunity to select, curate and revitalize the lessons of the past; to find meaning and relevance by looking backwards. An exhibition in Paris – ‘From Giotto to Caravaggio: the passions of Roberto Longhi’ – reminds about the fluidity of the past and how collectively we can forget. Longhi was an academic and a collector who died in 1970. He set out to rediscover Renaissance painters in the wake of post-impressionism. By seeing the past through a new lens he realized the influence and relevance of fifteenth and sixteenth century artists who had been forgotten. Most notable of these is Caravaggio – an artist who has had biographies and films made about him in recent years, but in Longhi’s time had been completely forgotten. In fact the main reason Caravaggio has become so popular is because Longhi found something new, modern and relevant in him. It’s an important reminder that we should look back if we can want to influence the future. I have long been a believer in the principles of stakeholder theory – as espoused by Ed Freeman – in that a company’s stakeholders are inter-dependent. The essence of the theory is that what is good for one stakeholder group is good for the others. It runs counter to the long held view that it is shareholders that are the primary audience. It cannot always be the case that stakeholders needs are in alignment though – as evidenced by two articles in the FT (28/03/15). They cite 3G (Heinz/Kraft merger) and its practices which have enraged ‘workers and customers alike’, but delighted investors and Microsoft’s move to require its contractors to give their employees a minimum of 15 days paid holiday and sick leave – good for employees, but disliked by Republicans and many business groups. My view is that stakeholder theory is right in its essence, but will always be challenged by short-termist thinking or by organizations that fail to recognize the inter-dependence of their different audiences. 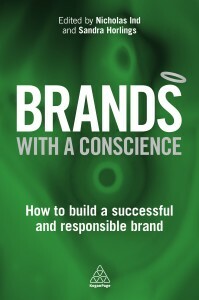 Many researchers and writers have looked at concepts such as brand love and brand devotion. 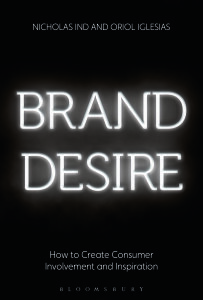 In this research project that I am undertaking, together with Oriol Iglesias at ESADE in Spain, we are trying to better understand brand desire. We are still trying to pin down the idea, but here’s the basic thinking: desire is central to the way we think – as Lacan playing on Descartes, says, ‘I desire therefore I am.’ Desire is about wanting or wishing for something that we believe will make us more than we are and perhaps enable us to exceed our perceived limits. It can set our pulses racing and unlock our dreams. It is rooted in imagination – such that we see images of ourselves in the future looking good wearing a particular brand and the gaze of others admiring us (Vivienne Westwood). We imagine the experience of visiting an exciting new museum and the delight of seeing the art and the architecture (Guggenheim Bilbao). Or we see a picture of familial harmony with adults and children making something together (LEGO). A desirable brand is one that taps into these desires and helps to create a powerful narrative. However, desire doesn’t just happen. Brands need to nurture it by offering security and surprise. Consumers should feel secure when they buy and use a brand; that they should be able to trust what a brand says about itself and that the expectation of performance will be realized. However security by itself does not create desire. Alongside it, brands also need to provide novelty, risk, adventure and the unexpected. This book edited by myself and Sandra Horlings and published by Kogan Page was launched in Amsterdam on April1st, 2016.
responsibility becomes embedded in the organization. The cases include Dilmah Teas, Tony Chocolonely, H&M, DNV GL, John Lewis Partnership, Dr Hauschka and the Slow Food Movement.